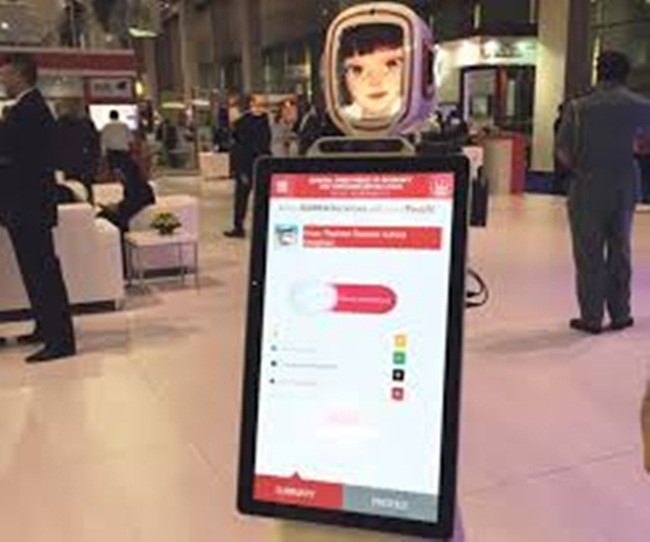 You will approach a robot with your queries related to immigration, visa renewal and transit visa at the terminals of Dubai International Airport soon. Don’t be surprised to see the robot pacing across the airport and issuing visas to transit travelers. A Korean technology corporation has programmed and manufactured the visa-issuing robot for Dubai International Airport. Named Amer Robot, it is currently undergoing a quality-testing and improvement procedure before being put into service at the airport. The launch of the robot was recently held during the 35th annual GITEX Technology Week. The visa-issuing robot for Dubai Airport can speak several languages. It is mechanized with voice and multimedia communication programing. It can walk alongside transit passengers from one terminal to the other. Answering immigration related questions, issuing transit permits and renewing visas will be streamlined in the robotic process. Amer Robot will be deployed in compliance with a new emigration system at the Terminal 3 of Dubai Airport. The New Generation Emigration (NGE) is a control room with a pre-clearance technology. The NGE helps to get proper information about passengers and ensure security strengths. It facilitates completion of all the basic procedures for emigration before travelers check in. The alignment of the visa-issuing robot and the New Generation Emigration will improve the service quality, smooth the movement of passengers, speed up the procedures and save on operational costs. If your flight from the United States with a layover at Dubai International Airport requires a transit visa, you will get it from the robot in no time.